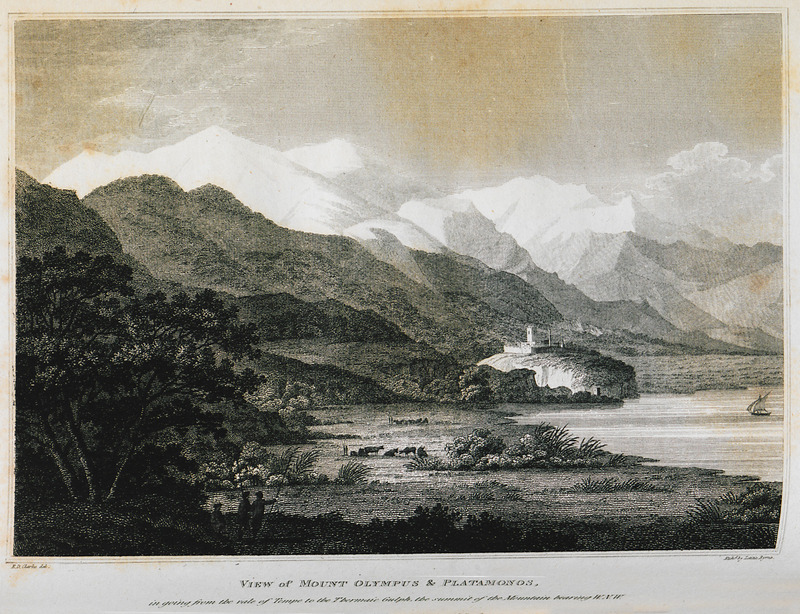 Landscape at Platamon. 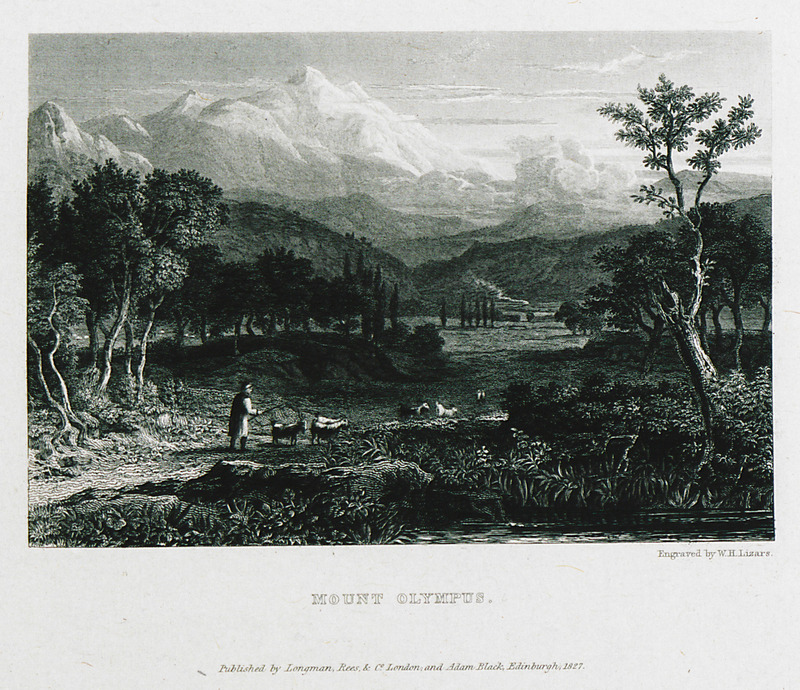 In the background, Mount Olympus. House on the beach of Katerini, in which the negotiations for the release of Colonel Synge took place. 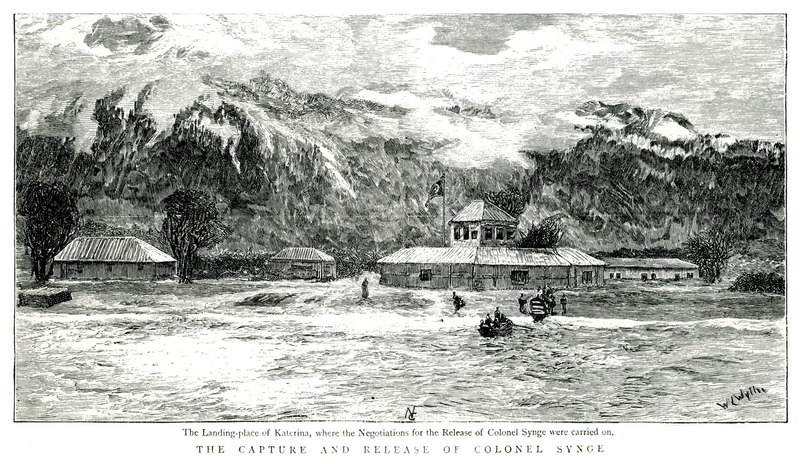 Coronel Synge became captive of the Greek insurgents during the events in Thessaly and Macedonia in 1878.